People say that the American language is one of the most difficult to learn because we use so many slang words and abbreviations that only we understand. The military community has its own language within that, and especially favors acronyms. PCS, LES, BAH, AWOL, PT, FTX…the list is never ending, really. If you’re in the market to buy, sell, or rent a home and are looking for a professional to help, you’ll likely go to Uncle Google and find thousands of Realtors who are all #1 and eager to help you. For just a moment, I will abandon my speech about the importance of choosing a Realtor by personal referral and accepting only excellence for your representation. So let’s try what stands out…acronyms! We have NAR, SRS, ABR, CRS, GRI… and now MRP. The good news is that MRP can serve as a beacon for you to identify a Realtor who genuinely “gets” that a military move is much different than a civilian client's move. I was privileged to contribute to the National Association of Realtors creating this certification program for a “Military Relocation Professional” in 2013. And while it doesn’t guarantee the agent is absolutely amazing or has even done a DITY move, it does signify an agent who has dedicated some extra time and money to try and understand your needs (and is committed to the Realtor Code of Ethics). 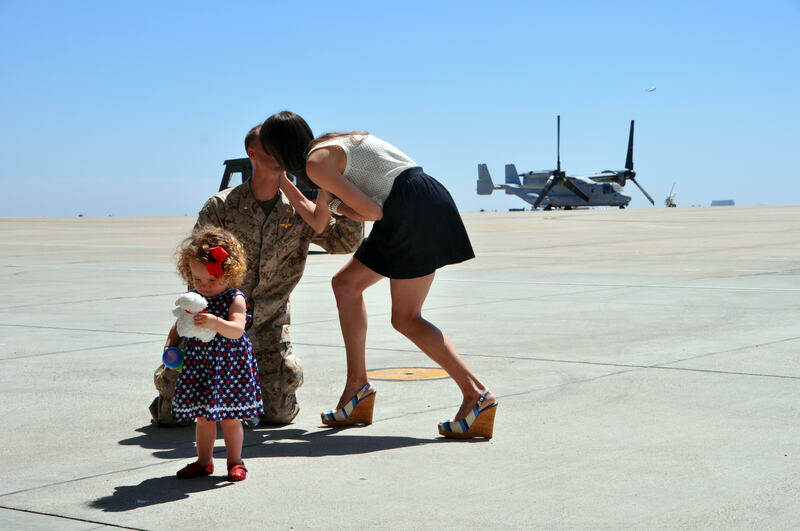 How does a Realtor earn the status of Military Relocation Professional? I am pleased to find that, as new agents are still getting certified, so many are prior military, spouses, or family members. But while a service member is painfully aware of the challenges of a military move, not that many know all the resources available and things to watch out for when making one of the largest and most stressful investments of their life. The MRP course tries to cover enough information that will allow Realtors to better serve clients across all branches of service. Many times we use and coordinate all these moving pieces so our military clients don’t end up “homeless.” I once had a client whose purchase began falling apart because the lender needed a document from Finance. I was able to explain to her exactly who to call and how to motivate them so that household goods didn’t rain scunyon on them. She called me back in an hour shocked that she had exactly what she needed. Why should you use an MRP Realtor? Let me start with one of the biggest a-ha moments that buyers and renters have--your Realtor’s services and representation are usually free to you (covered by the seller/landlord). And I always say, if someone else is going to pay for you to have a doctor or attorney, wouldn’t you hire the absolute best? What additional perks can you hope to find in an MRP? 1) Negotiation and motivating other parties in the transaction to shoot, move, and communicate by conveying urgencies like you living on an air mattress if you miss your delivery window. 2) Telling your story, like in a personal letter to help you win a bidding war for the house of your dreams…while your spouse is deployed and you hold down the fort with a newborn. 3) Recommendations to mission critical service providers like lenders that aren’t just military friendly, but VA Loan familiar—a very big difference. The VA Loan is a fantastic program that military uniquely have available to them, but it’s very tricky and often misunderstood. Just like a Realtor can make or break “a deal,” so can a lender. That local MRP Realtor should be familiar with the best location for your preferred commute, schools, type of home, and budget in an areawhere you may be totally unfamiliar and have zero time to research. They should be your boots on the ground. You have enough to worry about; why not make one friend who is an expert where you are moving and speaks your language? As of right now, there are 8,300 MRP’s nation-wide. How do you find one? Check the MRP Directory, where you can search the “find an MRP” tab by location or agent last name. It is also important to select a Realtor based on compatibility and quality, so ask friends and colleagues for referrals first, then check those names in the directory or ask them if they are MRP certified. Lots of people will thank you for your service, but MRP’s are saying, "I want to serve you better."